There are allegations of a land scandal within the San Pedro Town Council and in the middle of it fingers are pointed at an employee of the town council, a town councilor and the Minister of Tourism. The allegation was first made known two weeks ago when a whistleblower from the town council mass-emailed an anonymous letter to the media outlining what the author referred to as “a ring of land scammers who are operating from within the town council”. In the letter the author points out that recently, a beach front property situated in the Mata Grande area was illegally acquired by Ms. Candy Bradley, a town council employee. The letter stated that town Councilor Juan Alamilla used his cousin, the Minister of Tourism Hon. Manuel Heredia Jr. to sign a letter recommending that Ms. Bradley be allowed to purchase the property which was said to belong to the Government. The anonymous email, penned by “Jane Doe,” went on to explain that shortly after acquiring the land, Bradley sold it to a “powerful” San Pedrano who later discovered that the land was illegally acquired, and upon learning so requested his money back. The letter went on to suggest that when confronted with the situation, Minister Heredia, Mayor Elsa Paz, Councilor Juan Alamilla and Candy Bradley decided to sell the property for a higher value in order to not only return the money to the said San Pedrano but to divide the profit amongst them. 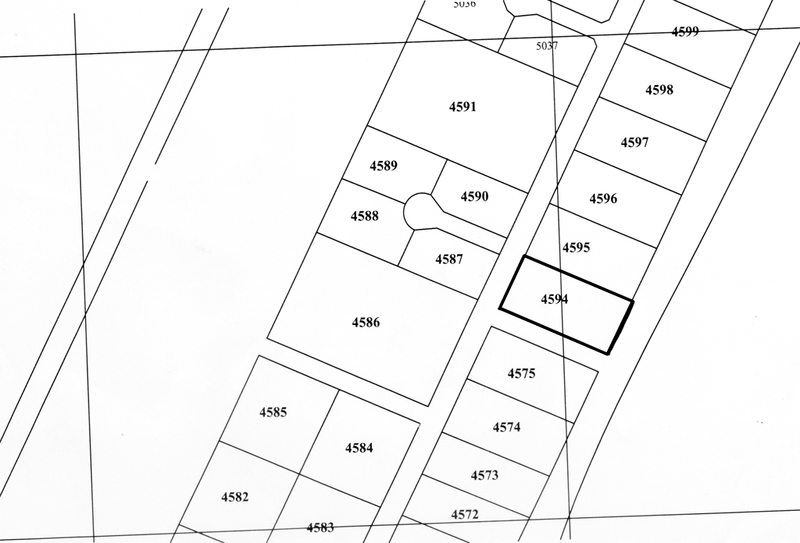 The land in question is lot number 12, situated in the Mata Grande Subdivision and registered at the lands department as Parcel Number 4594 in the San Pedro Registration section. At the Lands Department, the property appears to be owned by Mr. Ellis Eiley of San Pedro Town. Our investigation revealed that Candy Bradley, after acquiring the property in May of 2011 sold the property to Mr. Eiley. The same property was being advertised for sale on the Hollywood Realty of Belize website, a real estate company situated on Ambergris Caye. Property tax information obtained from the San Pedro Town Council shows that Lot # 12 is owned by two Americans residing in the United States of America. In an interview with the Americans via telephone, it was confirmed to The Sun that they are the legitimate owners of the property in question. They entered into an agreement to purchase the property in July of 2002 from a company called Butterscotch Limited, owned at the time by William and Vicky Campbell and a title was obtained on September 15th of the same year. Supporting evidence to the above claim was provided to The Sun, in the form of a copy of the recorded Deed of Conveyance to these individuals. The question remains, what happened at the Lands Department between the time the Americans acquired the property in September of 2002 and now? What transpired leading up to Mr. Eiley becoming the registered owner of the property on file at the Lands Department, when the individuals informed The Sun that they have never put the property up for sale? On her behalf, Mayor Elsa Paz dismissed all allegations of her involvement in the controversy in question and stated that she is unaware of the matter and as such is unable to comment further. The San Pedro Sun tried to contact Candy Bradley multiple times to get her side of the story but attempts were futile with one successful call ending with a prompt hang up. As for Councilor Juan Alamilla, he refused to grant us an interview. What has been confirmed is that the property in question is indeed titled to two different individuals. On Tuesday morning, September 20th The Sun contacted Mr. Ellis Eiley via telephone who simply stated that we would have to take this matter up with the Lands Department. Exactly how it is that this happened is yet to be discovered and who the players were in the apparent “mix up.” The San Pedro Sun intends to follow up on this matter, and will report on any new information that becomes available. Collin Clark Subdivision: Landfill or dump?